While the NBA is one of the leading sports leagues in America, its impact and influence spreads all around the world. For basketball fans around the globe, the NBA is the leading league and there is a great deal of interest in the sport, the teams and the top players. Whether fans are watching online or there are specific stations showing NBA games in their country, there is no doubt that this is a league with global appeal, which is something that the NBA is keen to capitalise on. There is an understanding that there are plenty of fans around the world, and that there is an opportunity to make money. This may not seem to be the case when you think of the disparaging way that some NBA stars are treating the FIBA World Cup, but on the whole; basketball owners are keen to make sure that they are positioning themselves to make a lot of money from the basketball global marketplace. The Sacramento Kings have taken a big step in generating more publicity for themselves by being the first NBA team to sign a player of Indian descent. Sim Bhullar, who was born in Toronto, featured for the Kings during their successful Summer League campaign in Las Vegas recently. The fact that the club is owned by Vivek Ranadive, the first Indian born owner in the NBA, make the Kings the natural choice to make this step forward. Ranadive has spoken repeatedly on his belief that India is a frontier that the NBA should be looking to conquer and the appearance of Sim will only help to push on the love and interest of basketball in the country. 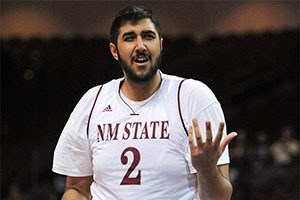 Bhullar has had two seasons playing for the New Mexico State University and he clocked up 65 career games in his time. Bhullar was certainly well regarded in his time with New Mexico State as he was twice voted the MVP in the Western Athletic Conference Tournament and his team reached the NCAA Tournament in the previous two seasons. Bhullar will receive plenty of exposure in India because the Kings have already made a breakthrough in the country. In the 2013/14 season, there were more than 20 live matches shown in India. 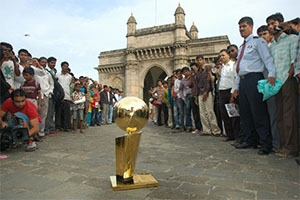 The team has also created a Hindi website, enabling fans from India and around the world to connect with the team. This is a step that is likely to be taken by a number of NBA teams as they look to make more money from their deals around the world. The fact that the NBA is a global sport is shown by the level of basketball betting that takes place around the world. The number of UK and European based sportsbooks that offer basketball betting shows that there is a desire to get involved with the game. The Sacramento Kings may have taken a small step to improving their global fanbase, but it is an important step, and one that is likely to be seen as being innovative in the years to come.